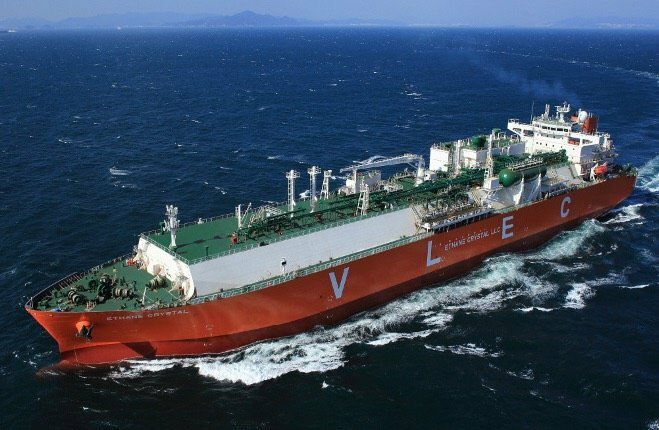 Mitsui OSK Lines (MOL) is in trouble in Egypt where 11-month old fully laden ethane carrier Ethane Opal grounded and collided into a ferry berth off Port Said. Splash has obtained a video of the very large ethane carrier ploughing into a passenger dock on Monday. The ship was carrying a full cargo of ethane from the US to India for Reliance Industries when the accident happened. While the Suez Canal Authority was able to carry on handling a normal volume of traffic after the accident it is understood to be seeking $5m in damages to repair the quayside. The Samsung Heavy Industries-built ship is currently anchored off Port Said and is understood to have suffered damages both from the collision with the dock as well as from grounding. Splash is waiting for responses from MOL, the canal authority and the ship’s flag, the Marshall Islands.